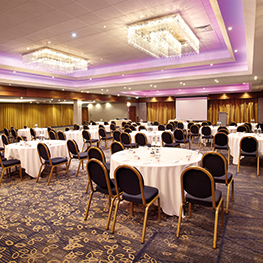 This is one of our most versatile event rooms at our Wembley hotel and it can host 120 delegates theatre-style or 140 for a reception. 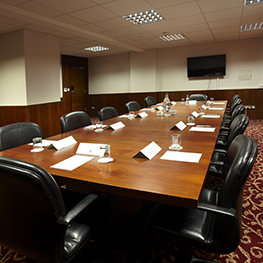 It is fully equipped with AV and there is free Wi-Fi. 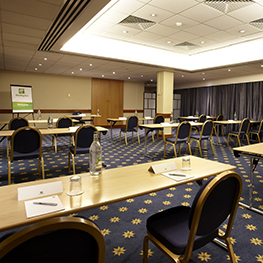 The room has natural daylight and is fully air-conditioned. 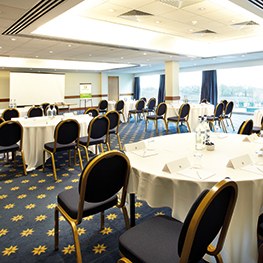 The Wembley Suite at our Wembley arena hotel is often used for AGMs and we offer a choice of refreshment packages to suit the style of your organisation. 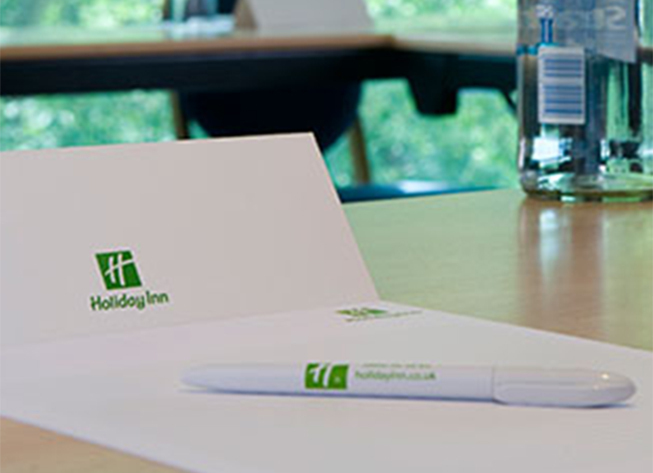 We are also able to advise on any security matters with which you may need help. 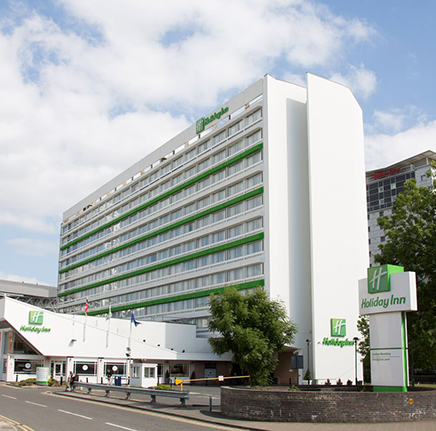 Holiday Inn London – Wembley is easy to reach by tube, train and bus and there is onsite parking for 250 cars. 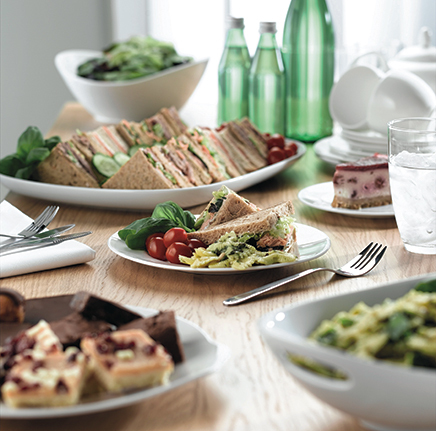 We offer a range of refreshments packages to suit the style of your organisation and the event you are planning. 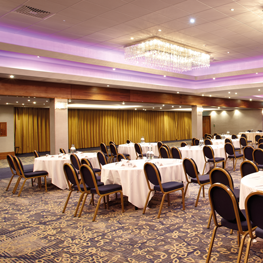 Our experienced events team will be there every step of the way to ensure every small detail is considered and nothing is overlooked. 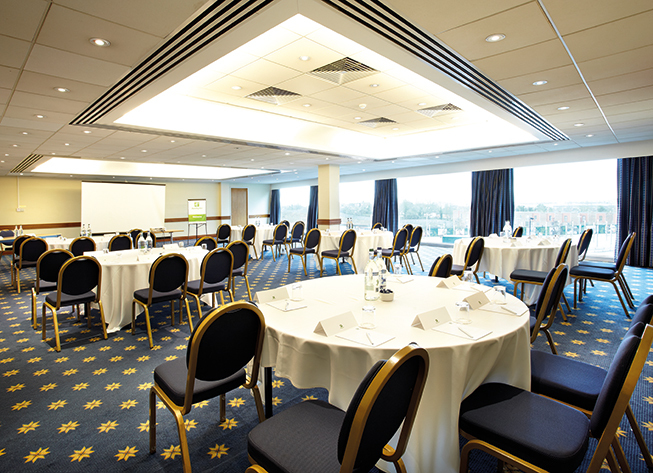 The Wembley Suite is a popular choice with our blue corporate clients, as the space is ideal for AGMs, conferences and corporate events. 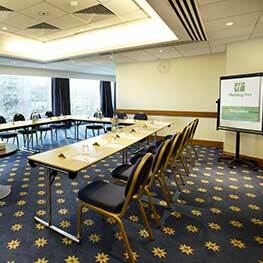 We're also located within easy access of central London and can be easily reached by car, train, tube or bus. 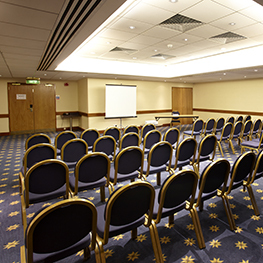 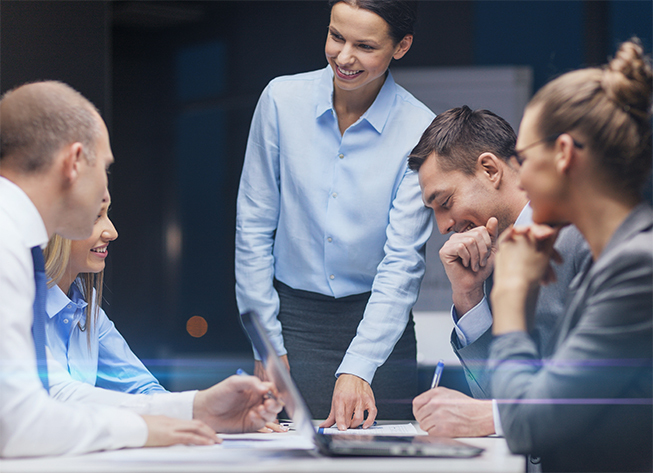 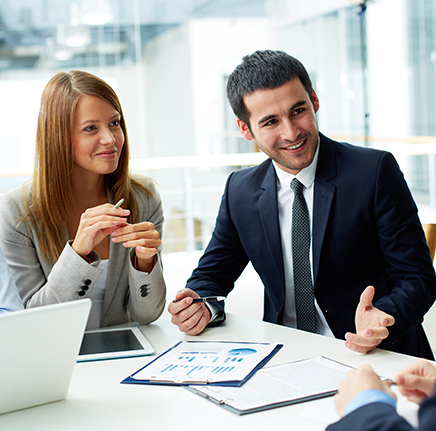 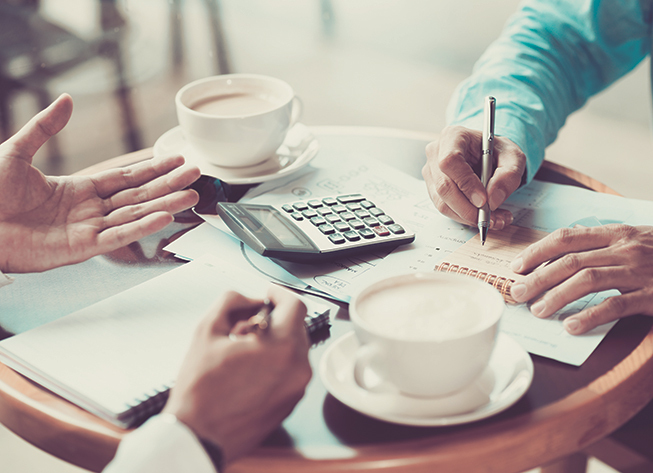 We will be there to make sure everything runs smoothly so that your people can participate in the meeting. 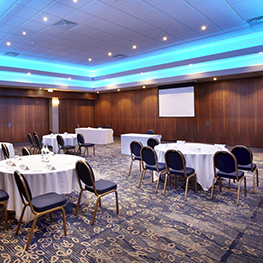 Our experienced AV team are always on duty and we are used to working with specialist equipment and liaising with the external crew.